With talk of war again now in Syria making the rounds this September with some believing that the globalists who've long been pushing for a war with Syria that could lead to a war with Russia will bait President Trump into making the same mistakes that Barack Obama and George Bush made, we thought we'd take a look within this ANP story at the 'new reality' that President Trump and America face that should be heavily considered before entering into such a war: MAD, aka 'Mutually Assured Destruction', is no longer 'mutual'. As Dr. Peter Vincent Pry reported on ANP back on March 14th, thanks to 8 years of the policies of Barack Obama, America is now unilaterally vulnerable to nuclear destruction with Russia's new breed of hypersonic nuclear doomsday weapons vastly superior to anything that America now has. POSEIDON is a big "artificially intelligent" torpedo reportedly armed with a monster 100-megaton nuclear warhead — by far, the biggest H-bomb ever built. We are told POSEIDON’s mission is to raise tsunamis to flood U.S. coastal cities, leaving uninhabitable radioactive wastelands. Russia’s doomsday bomb is real. So, unless President Trump wants to leave as his legacy the nuclear destruction of America, why in the world would he be pushing for a war with Syria that could quickly lead to a war with Russia? As former US Presidential candidate Patrick Buchanan recently reported, war with Syria and Russia would be a win for the 'never-Trumpers' and exactly the opposite of what then-candidate-Trump had promised. And while there may be some or even many within his administration who are pushing him in that direction, as we see detailed below, dating back many years, even into the Obama administration, we've had 'September scares' and attacks upon Syria. Why do the globalits hate Syria so? As we hear in the 1st video below on Real.Video from 'Syrian Girl', there are many different reasons that the nwo HATES Syria and sadly, many innocent Syrian people have suffered because of that hatred. Not to mention the people of Europe who have had vast numbers of Syrian refugees pour in. And as videographer 'Wife With A Purpose' tells us in the 2nd video below, the attacks upon Syria are really attacks upon Christianity and freedom with the globalists having fully embraced a luciferian, totalitarian philosophy. So let's take a quick look back at past September events in Syria and as we see in this story, there have been Syria scares and false flag attacks in the month of September going back at least to 2013, when a team of UN inspectors allegedly found that the nerve gas sarin was used. What many have called a 'false flag'. In the month of September of 2014, Barack Obama launched air strikes against alleged ISIS stronghold's in Syria. Yet we all remember, Obama was also arming ISIS. Again in the month of September of 2015, Russia joined in by launching their first airstrikes upon ISIS while in 2016, the US 'mistakenly' hit the Syrian army, killing 62 and injuring about 100 others. And while September of 2017 saw Syria taking back even more land from ISIS, if we fast forward one year to September of 2018, we find that Russia has warned the entire world that there may soon be a staged chemical weapons attack in Syria, with Nikki Haley recently warning Russia and Iran of serious consequences should they continue airstrikes upon the last rebel-held area in Syria. 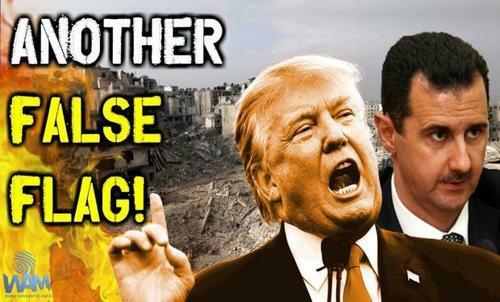 And should the globalists who hate President Trump and America and hate Christians be successful at convincing Trump to go to war in Syria, a war that leads to Russia entering and attacking the United States, we should remember what former Ronald Reagan cabinet member Paul Craig Roberts has warned - that such a war will surely lead to America's total destruction. “The atomic bombs that Washington dropped on these helpless civilian centres while the Japanese government was trying to surrender, were mere popguns compared to today’s thermo-nuclear weapons. “One Russian SS-18 wipes out three-quarters of New York state for thousands of years." And from this May of 2016 story over at Club Orlov written by a number of Russian's living within the United States we got this very important warning about what America might look like following war with Russia. 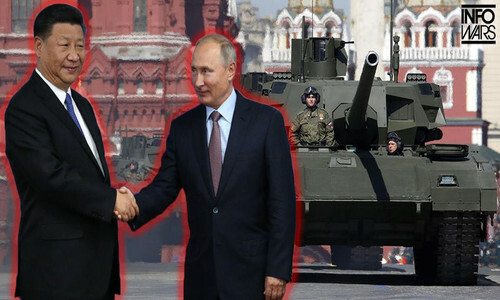 A long time ago Russia had to respond to provocations by fighting land battles on her own territory, then launching a counter-invasion; but this is no longer necessary. Russia’s new weapons make retaliation instant, undetectable, unstoppable and perfectly lethal. Thus, if tomorrow a war were to break out between the US and Russia, it is guaranteed that the US would be obliterated. [size=16]At a minimum, there would no longer be an electric grid, no internet, no oil and gas pipelines, no interstate highway system, no air transportation or GPS-based navigation. Financial centers would lie in ruins. Government at every level would cease to function. US armed forces, stationed all around the globe, would no longer be resupplied. At a maximum, the entire landmass of the US would be covered by a layer of radioactive ash. We tell you this not to be alarmist, but because, based on everything we know, we are ourselves alarmed. If attacked, Russia will not back down; she will retaliate, and she will utterly annihilate the United States. 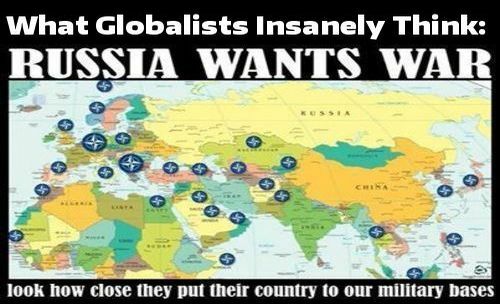 So why would anybody WANT a war between the US and Russia unless they also WANT the destruction of America and much of the world? We remind you that 'Apocalyptic Islam' actually WANTS a nuclear apocalypse to bring in their satanic, anti-Christ mahdi to the world. 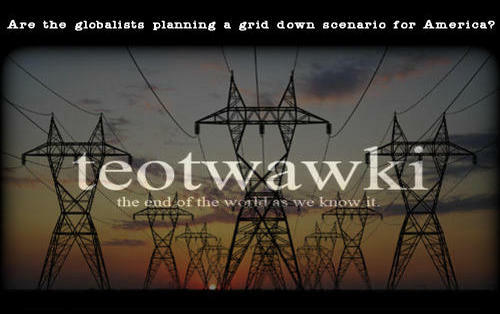 And as Paul Craig Roberts reports in this brand new story, nothing less than 'Armageddon' rides in the balance should somehow those pushing for war with a country that can destroy us get their way. Warning within his story that because of their hatred for President Trump, much of the left has aligned themselves with the forces of evil and war that are pushing for war with Russia, Roberts warns us "the world should be scared to death of the recklessness and irresponsibility of the US government", or at least those insanely pushing for conflict with a nation that could almost instantaneously wipe America off of the map. According to this new story over at The Express titled "World War 3 Warning: Russia And China Conduct Largest Ever War Games In Threat To West", the gargantuan drills in eastern Siberia are meant to test the combat readiness of the 300,000+ troops who'll be participating, yet as we asked on ANP back on September 1st, are these massive war games really in preparation for China and Russia going to war against the US and NATO? With Patrick Buchanan also recently asking "Is Trump Going Neocon In Syria?" at a time when Zero Hedge reports that the staged filming of false flag chemical attacks had begun in Idlib, Syria, we pray that President Trump was sincere when he said "Peace is the prize". For we shudder to think of the alternative.